We work with our customers to find financing options to make the dream a reality. Convention Home Only Program. All Cumberland new homes qualify for all conventional programs. FHA LAND/HOME Program. The Federal Housing Authority (FHA) has the primary responsibility for administering the government home loan insurance program. This program is designed to help first time home buyers or limited credit qualify for a loan when a conventional loan program does not meet their current needs. Land and Home Program. This type of loan allows you to finance your land and the home in a single payment. Triad Land and Home Plus or Land-In-Lieu Program. This type of loan allows you to use equity you may have in your land instead of using cash for a down payment. Cash along with land can be used if you wish. 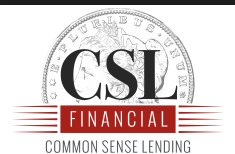 Cumberland Homes does not offer in-house financing and makes no decisions on credit worthiness or interest rates the lending institutions will make all the decisions on home loans.